The Choir sings at the 10:30 a.m. Eucharist every Sunday from September through May and at other significant worship services. Membership is open to all people with an interest in vocal music, with rehearsal Wednesdays at 7:00 p.m. and Sunday morning at 9:45 a.m. We can always use more youth and adults in each choir and chorus. Please contact Pat Werner if you are interested. 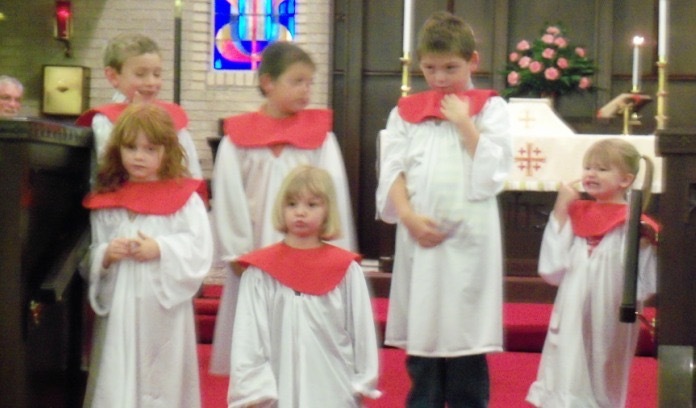 Open to all children from second grade and up, the Children’s Hand Chime Choir and Chorus prepares anthems for festival Sundays and other significant worship services including Christmas Eve, Palm Sunday, Easter, and Mother’s Day. Anthems are both sung and performed on the hand chimes. Usually this requires two cycles of rehearsals: from early November through Christmas Eve and from mid-February through Easter. Rehearsals are on Sunday evening, 5:00-7:00, with supper provided. 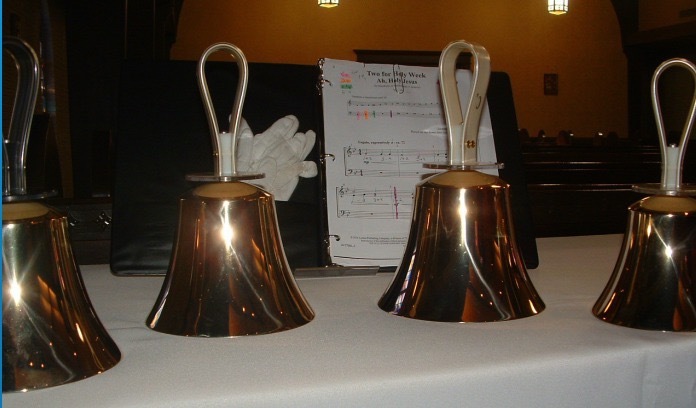 The Hand Bell Choir also prepares anthems for festival Sundays, usually during Advent, for Christmas Eve, Easter, and other significant worship services. 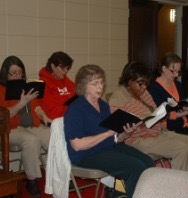 The choir is open to all interested adults; rehearsals are on Wednesday evenings at 6:00; usually scheduled for six or eight weeks before a performance.